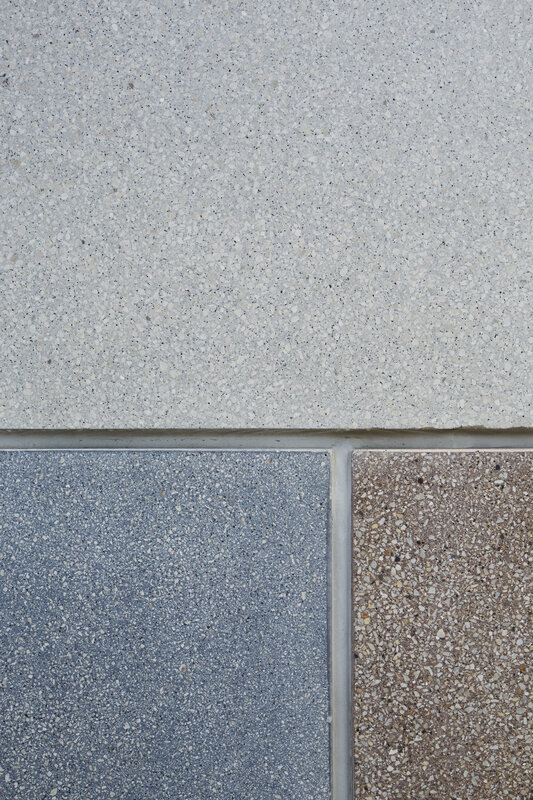 Wall assembly and material finishing are explored in this elementary school cladding. Precast concrete panels stacked like blocks lend a playful character to this elementary school addition in Chicago. The tectonic expression of stacked elements explains the way loads are carried to the ground in a way that can be understood by young school children. The ground and polished finish of the panels transforms an otherwise commonplace building component, and offers the institution a simple yet noble character.